I must start by saying a huge thank you to Vivian Oldaker for sending me a copy of her wonderful book, The Killer's Daughter. I had such fun reading it, thank you. It goes perfectly with Anti-Bullying Week. I thought The Killer's Daughter was an amazing book. Emma's sarcastic voice and her observations of her family and those around her were brilliant. I also found it refreshing how different Emma is as a teenager compared with other YA novels. Her heartthrob crush is John Travolta, she isn't after a boyfriend and she's quite studious and responsible. She gets on her with father and step-mother. When her father is accused of murdering her grandmother in Greece but is then found to be not-guilty of the charges, everything in Emma's life begins to change. Her family move from their home in London to Wessex in order to get out of the limelight and the harassment. But the story has followed them to the little village they have chosen. Emma's classmates are especially cruel to her. Calling her 'Killer's Daughter,' saying cruel and nasty things about her, pushing gum into her hair, starting fights. Emma's puts on a brave front, even standing up to her main tormentor a few times but still, it isn't easy for her. The other students do all that they can in order for Emma to feel left out and alone. Their small-mindedness is absolutely infuriating, but in order to prove them wrong and for Emma and her family to move on from this, Emma decides to go back to Greece and try to do some investigating of her own in order to clear her father's name once and for all. With the help of her new friend and love-interest, Bruce, they travel back to Kalos and dig up some information about her grandmother, her friends and her activities before she dies. Emma takes some awfully big risks and we're left guessing all the way to the end. Emma is a wonderful character. At times she seems so grown-up when she's talking about her father and Jan, her step-mother. Her personality and the way in which she thinks and speaks made me laugh out loud on quite a few occasions. You can tell that the bullying that occurs really upsets Emma, but Oldaker was quite clever in showing us how Emma feels instead of telling us outright. What's great about Emma, is that she doesn't let the bullying affect her life too greatly, instead using the experience to move forward and change the things in her life that most upset her. I absolutely feared for her in Greece as she took awful risks and probably went too far in order to find the truth. 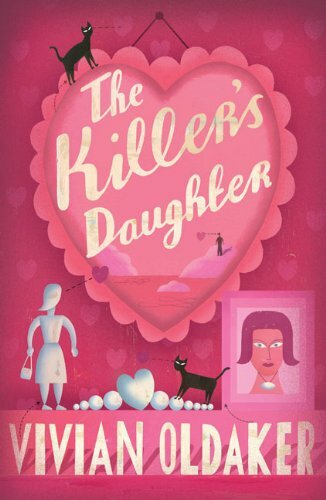 Quite a slim book, once you start reading The Killer's Daughter you won't want to put it down until it's finished and you've found out just who was responsible! Highly recommended. Wow this sounds like a really compelling read. Thanks for this great interview!! Also like the cover art btw. and it is so good to hear that there are so many good books about bullying out there. Willa - the cover art is interesting, isn't it? 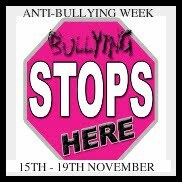 And you're right, I have found since taking part in anti-bullying week just how many wonderful books there are available about bullying!